Dr. Darnell and our team pride ourselves on providing a family-friendly and comfortable environment to our patients. Please read below to learn a little about our staff and feel free to contact us with any questions today! Dr. Dan Darnell, DMD, P.C. 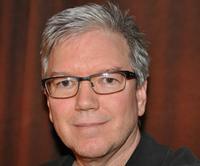 The son of a medical doctor and a high school teacher, Dan Darnell grew up in Birmingham, Alabama. Art played an important part in Dan's family: his mother supported his father's studies in medical school by selling portraits, and Dan himself studied at the Birmingham Museum of Art as a child. After graduating from Mountain Brook High School, he studied English and art at Samford University, and worked for Dunhall Pharmaceuticals and Bristol Myers. Upon returning to Birmingham, he worked for Southern Research Institute and graduated from the University of Alabama Birmingham. After completing his studies at the UAB School of Dentistry in 1986, Dan opened his first private practice in Hanceville. His practice moved to Cullman in 2002, just a short distance away from the original office. Dan is passionate about inventing and developing new products to make dentistry better for both patients and practitioners. He has been granted seven patents for teeth bleaching trays and methods, and his products have been licensed by companies such as Remedent and Nu-Radiance. Currently he evaluates products for companies such as 3M and contributes his expertise on DentalTown, an educational website serving dental students and practitioners, while continuing to offer his patients a variety of services to ensure their teeth look great and function perfectly. Dan lives with his wife Cindi on Smith Lake in Cullman County, and his stepdaughter, Heather Moon, continues the family tradition of medical service by practicing Optometry in Huntsville. 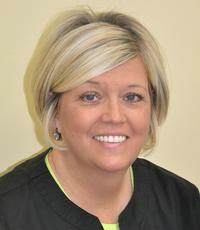 Darleen is our dental assistant since 1987 and has worked with us since 2005. Amanda is one of our amazing hygienists. She has been licensed since 2007 and has been with our team since 2008. Meet Cindi, our exceptional office manager. Cindi has been on our team since 1997. Meet Paula, our front desk person. Paula has been with us since 2006. When you call our office, Paula can answer any of your questions and help you book an appointment. Debra is our front desk and treatment coordinator. She has been with us since 1987. Debra also has had her dental hygienist license since 1987.